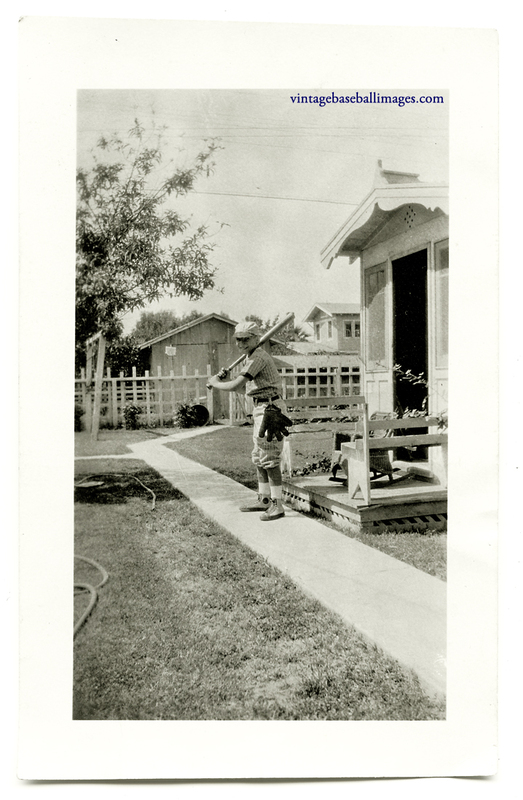 This is another snapshot from my collection, and one in which I have never been quite sure what is going on. 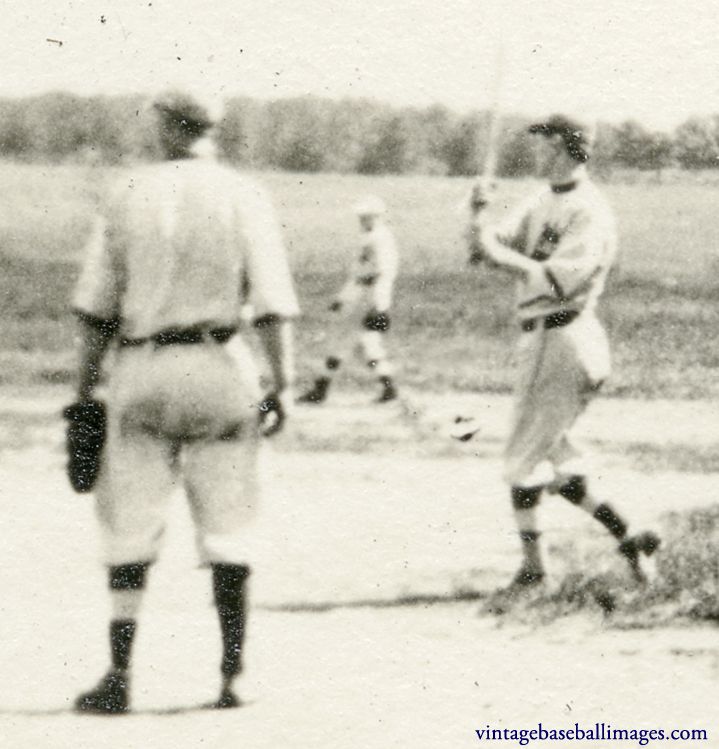 There is a stamp on the rear from Van Vranken’s Studio in Winona, Minnesota, so I assume it was likely taken in or near that city, which is tucked into the southeastern corner of the state along the Mississippi River. 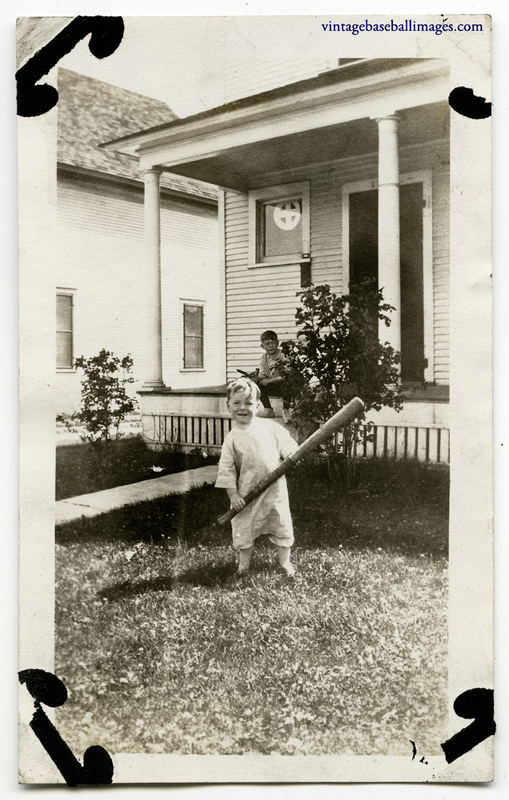 The ballplayer has his right arm around whatever that black object is — some sort of rolled flag or banner perhaps? 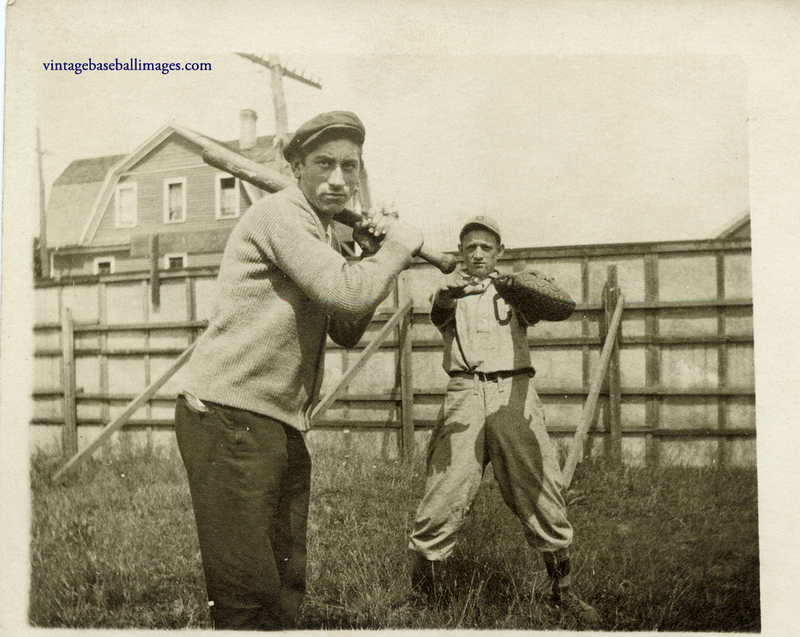 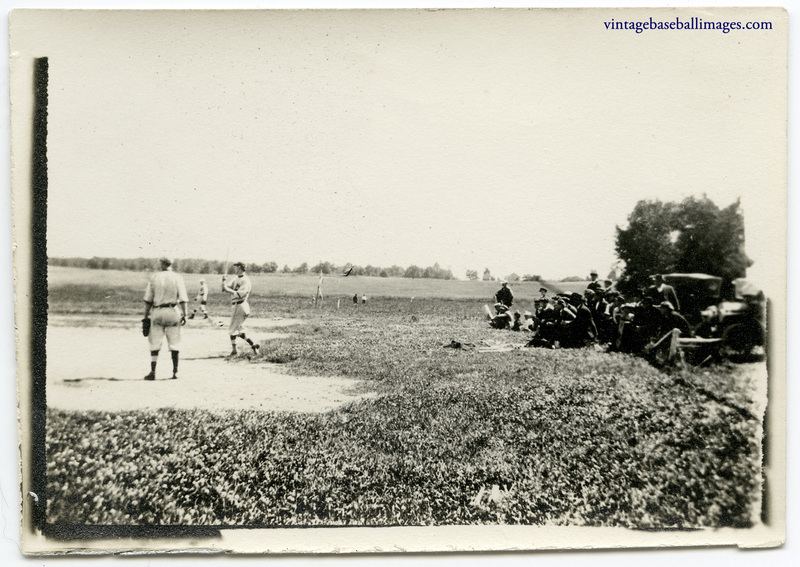 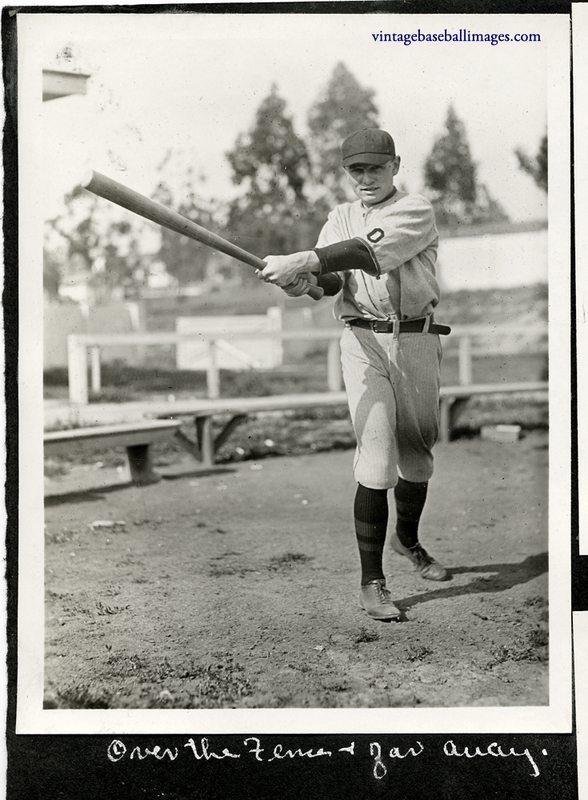 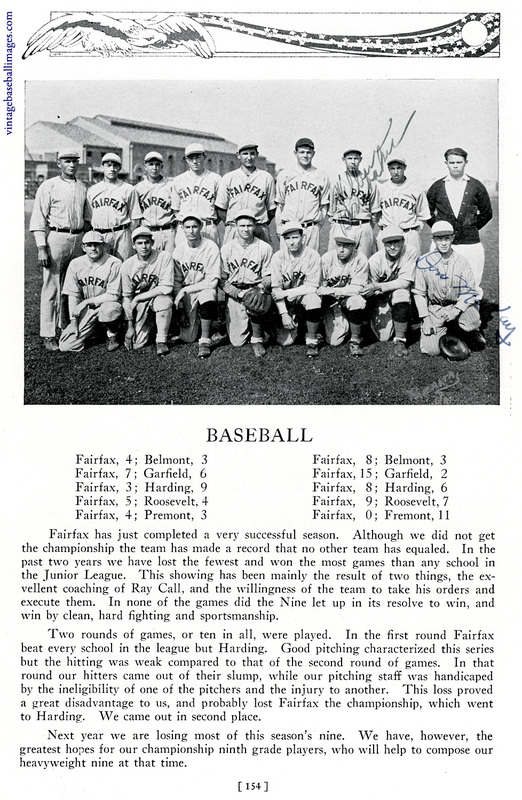 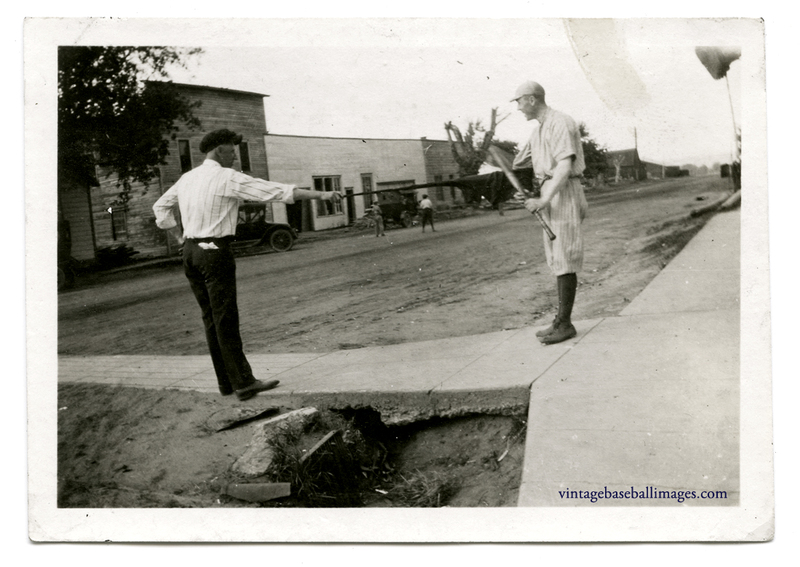 You are currently browsing the 1920s Images category at Vintage Baseball Images.